The Russian presidential aide said that his talks with US Special Representative for Ukraine Negotiations were useful. MINSK (Sputnik) — Russian presidential aide Vladislav Surkov called his meeting on Monday with US Special Representative for Ukraine Negotiations Kurt Volker in Minsk useful, adding that the sides did not question the commitment to the Minsk agreements on Ukrainian reconciliation. "We agreed that the current situation in Ukraine can satisfy neither the conflicting sides, nor the external forces promoting the resolution. The discussion was led in the tone of mutual respect and interest, honestly, seriously without illusions or bias … The commitment to the Minsk agreements was not questioned, both sides came up with fresh ideas and innovative approaches to implement them," Surkov said. Surkov added, he agreed with Volker to continue joint work on Ukraine, with the topics for the next meeting set out. “We agreed to continue joint work. We selected the topics for the next meeting. 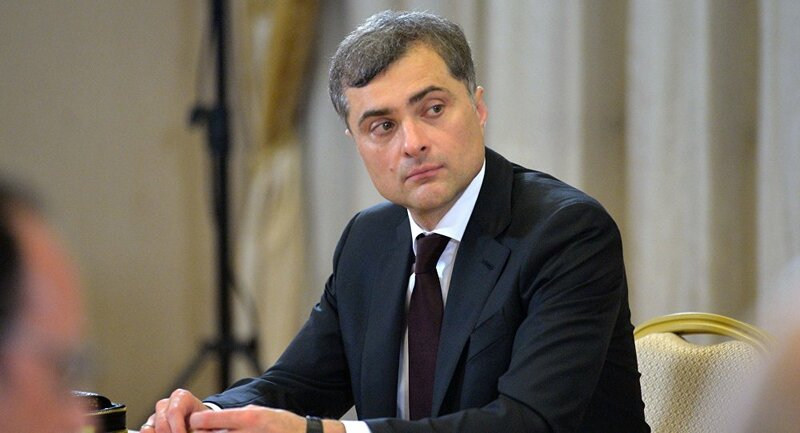 We agreed that the peace process both on the political and security sector tracks should and can progress more quickly,” Surkov said after his meeting with Volker. Earlier in the day, Belarusian Foreign Ministry spokesman Dmitry Mironchik told Sputnik that the meeting would be closed to press, whereas a diplomatic source noted that it was slated for the afternoon. On Friday, the US State Department said that Volker would pay a visit to Minsk on Monday to discuss Russian-Ukrainian ties with a Russian government representative.